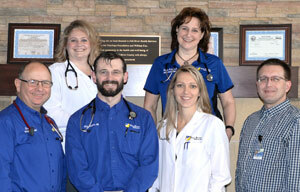 Fall River Rural Health Clinic is committed to providing high quality, primary medical care to the entire family. Our providers are available to meet your comprehensive medical needs. Our rural health clinic is your source for family medicine in Fall River and the surrounding communities. 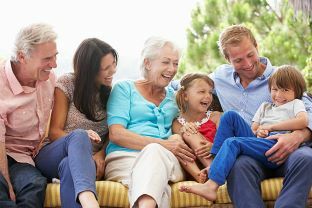 Our primary care, family medicine clinic offers board certified physicians and physician assistants that are here to offer their health care services to the individual needs of you and your family. Rural Health Clinic Hours: Monday- Friday: 8:00am - 8:00 pm, Saturday & Sunday: 9:00am- 1:00pm. "Appointment No-Shows and Late Arrivals- It's the policy of Fall River Health Services Rural Health Clinic to monitor and manage appointment no-shows and late appointments. Any patient who arrives 15 minutes late after their scheduled appointment time is considered late for his or her appointment. FRHS will make reasonable efforts to accommodate the patient within the patients session or to reschedule the patient at the earliest possible time, based on the nature of the presenting reason for the visit and the patient's wishes."